Erin Michael Walsh, who was wrongfully convicted of a fatal shooting 35 years ago, has died in his home in Kingston, Ont. He was 62. A funeral will be held on Friday in Kingston, said Sean MacDonald, Walsh's friend and lawyer. Walsh died Monday, surrounded by his family, after a four-year battle with colon cancer. MacDonald said Walsh's health had been deteriorating since the start of 2010. Although Walsh had been sleeping most days, on Sept. 13 he got out of bed and danced with his wife, Angela, on their wedding anniversary. MacDonald said he will remember Walsh as a fighter. "The fact that a doctor gave him six months to live in August of 2006 and he went on to engage in what would become an epic fight for justice after being disagnosed with terminal cancer speaks for itself," MacDonald said on Thursday. He was convicted in October 1975 in the shooting death of Melvin (Chi Chi) Peters in Saint John. New Brunswick's Court of Appeal quashed the conviction in March 2008 after Walsh uncovered new evidence that raised questions about his guilt. The evidence, obtained by Walsh as part of a 2005 access-to-information request, included reports of jailhouse conversations that suggested someone else shot Peters. At the time of Peters's death, Walsh, who had a criminal record, was travelling from Toronto and had stopped in the southern New Brunswick city. He met a group of people, including Peters, for drinks at a beach. When the group left in a car, a fight broke out, a shotgun went off and Peters was killed. When the trial went to court, Walsh was convicted by a jury in less than one hour. He was sentenced to life in prison with no possibility of parole for 10 years. That murder conviction was upheld on appeal in 1982. The federal government opened the door to the appeal when it reviewed the new evidence that was unearthed by Walsh. 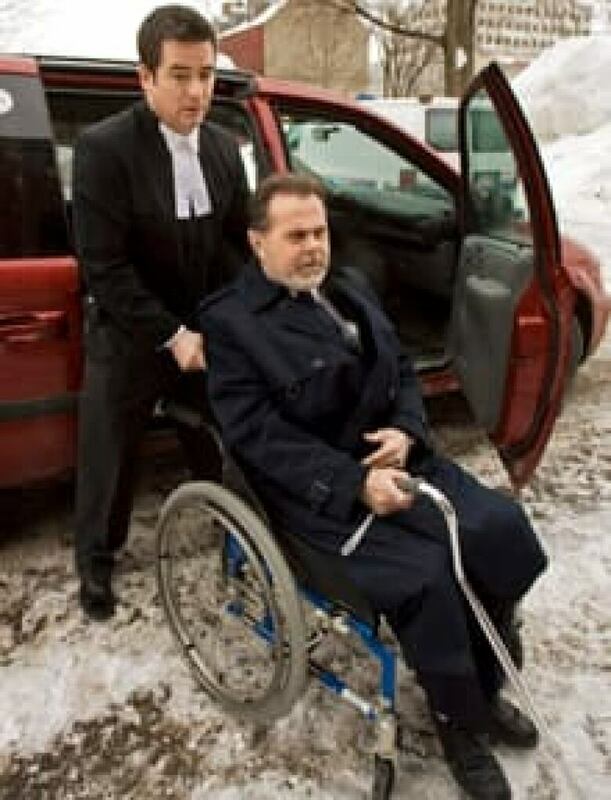 Walsh, with lawyer Sean MacDonald, arrives at the New Brunswick Court of Appeal in Fredericton in March 2008. Federal Justice Minister Rob Nicholson referred Walsh's case to the New Brunswick Court of Appeal in February 2008. With Walsh in attendance, the province's top court overturned the 1975 conviction in a ruling from the bench. That decision sparked another legal battle between Walsh and the New Brunswick government over compensation for the time he spent in prison. The New Brunswick government reached an out-of-court settlement with him in October 2009. The provincial government acknowledged that "a miscarriage of justice may have occurred respecting the 1975 conviction because of the timeliness, processes and procedures of the day." Then justice minister Michael Murphy refused to disclose the financial details of the settlement when it was reached. Walsh had been seeking $50 million in compensation. 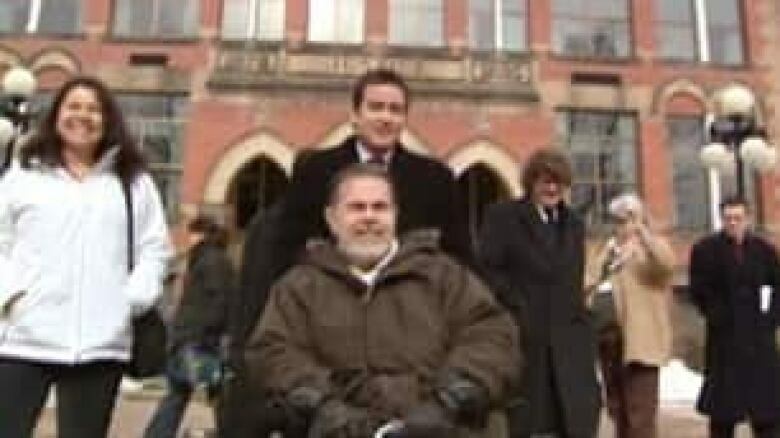 Walsh had been suing the provincial government, the Saint John police and William McCarroll, a sitting judge who was the Crown prosecutor at the time, for compensation.